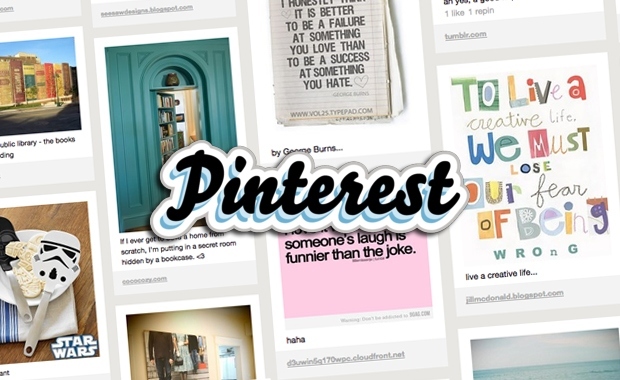 I’ve just blogged FIVE WAYS content publishers can use Pinterest for Kingston University. .
What’s hot and what’s not with Kindle Fire? 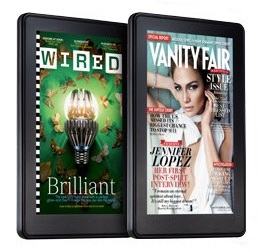 Watching Engadget’s Kindle Fire video convinced me my world would be a better place if I owned one. Yet the early reviews are not promising. 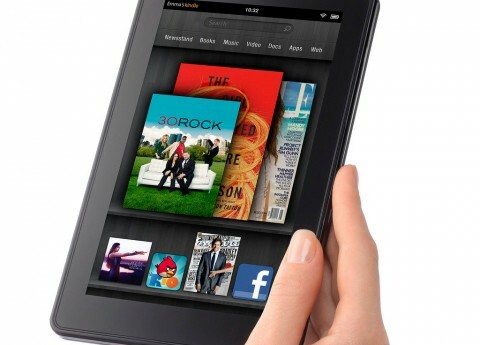 Let’s cut through the techno-jargon and find out, in plain English, what’s hot and what’s not with Amazon’s Kindle Fire tablet. It’s a thing of beauty for two reasons: First it has a simplistic, chic design with little in the way of branding. Second, we finally might see some serious competition for the iPad. To quote one blog “The Kindle Fire is stuck between e-ink minimalism and gleaming iPad decadence.” In other words, it’s both simple and flashy. It has a dual-core processor, 512 MB of RAM and a 7-inch, 16-million colour display which lends some of its technology from Anroid devices. Sorry, what? It’s fast enough, has a fancy colour screen and uses technology which people already like. It is also simple to use. You logon to see a simplistic book shelf and you can easily organise all of your content from there, be it newspapers, magazines, books, music, videos, documents or apps. If you need more content on the move, Amazon’s store is always a couple of clicks away meaning you can access the entirety of Amazon’s catalogue in a flash. The Fire is not just about reading, while page turning is slick and downloads are seamless let’s not forget that as a tablet you can access a mixture of the content you love. Two words: page freeze. If you buy a reading device you want to be able to read on it. Early reviews are pointing out that the Fire occasionally ‘lags’ when you’re navigating from one page to another. It’s not an iPad. Many reviews keep banging on about how it’s not as powerful as an iPad. It’s worthwhile reminding ourselves that is in not, in fact, an iPad and if you want more of a powerful toy then the Fire is not for you. You don’t get a built in camera or microphone and the battery life isn’t amazing. Do I still want one? Without doubt, only I’ll be waiting a while yet here in the UK. of my Master’s research taught me anything – it’s that social media marketing has to be fun and interactive. The social media trend analysis I conducted for Kingston University’s publishing MA presented some convincing data to suggest achieving an ‘amplified’ online marketing message, or getting your audience to share your message with their audience, means you need to create marketing content that adds value to the online experience. 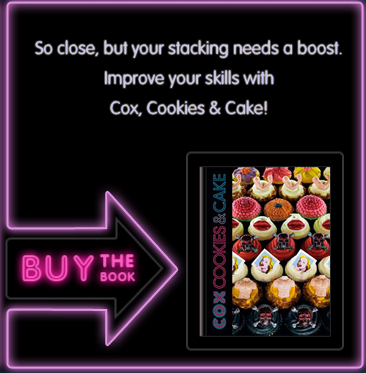 Hachette’s Octopus Publishing Group is doing just that with their new Facebook game for Cox, Cookies and Cake – The Cook Book. The cookbook is the product of the renowned shoe designer and cup cake entrepreneur Patrick Cox. Cox’s popular cake shop can be found in London’s Soho, selling cakes to tickle the fancy of the uninhibited. 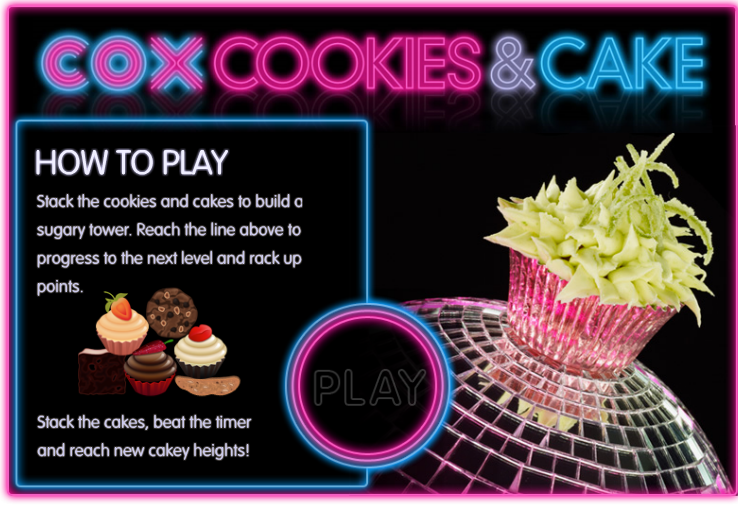 The game’s challenge is to stack “complex confectionery’’ against the clock to win points before sharing your score with Facebook friends. Cox’s brand, like the game, communicates a tasty, naughty and hedonistic confectionery experience. For the publisher the game is a clever piece of social media marketing that is fun, engaging and most crucially: shareable. The game’s neon blue and pink ‘BUY THE BOOK’ arrow, linking to Amazon, is a nice touch too. This is good news for those of us who hope for more sophisticated social marketing than tweets that announce the arrival of a new product. I just wish I’d discovered this particular game before my dissertation deadline. What is digital all about? Drew First, founder of Manhattern based indepedant e-publisher Electric Type, invites people on his VYou video blog to ask him about ‘digital books, new media, publishing 2.0’ or ‘personal hygenie.’ I posted the question: “What is the added value of a digital book, both for publisher and consumer?” in a two minute video response he tackles the subject. He manages to fit in: gaining an instant worldwide audience, enjoying lower barriers to entry and the possibility to profit entirely from you own work as the key values for the self-published author. He also touches on the reader experience and digital as being a new way to create a version of a book closer to that imagined by the author. From their office in New York the Electic Type team “create, write, and design better digital books.” But here is what they’re really getting right: engaging with a wider audience. Catch Your Death, the duo’s second novel, has taken the top spot for four weeks and sold 42,000 digital copies in June alone. Since bookselling giant Amazon removed the tag on their novel in the Kindle store, which read: (for fans of Dan Brown and Stieg Larsson), agent Sam Copeland of Rogers, Coleridge and White has secured the pair a six-figure deal with trade publisher Harper Collins. Harper Fiction have moved quickly to snap up the internet sensations, who had until their Amazon successs been overlooked by traditional publishers. HarperCollins, creators of online author community and slush pile filter Authonomy.com, are savvy with using the internet to find and harness talent. The first book Catch Your Death will be published as a physical edition in early Spring 2012, while the ebook editions will continue to sell online. On my way home yesterday I noticed that infamous street artist and bestselling author Banksy has struck again. The piece, in Kentish Town, is a reference to Tox, a graffiti tagger familiar with any London commuter. Tox, 26 year old Daniel Hampton, was recently found guilty of seven counts of criminal damage for his tags on the capitals trains and buses. Banksy, who has sold over 411,000* copies of his illustrated Wall and Peace since publication, cleverly incorporates Tox in his new work. 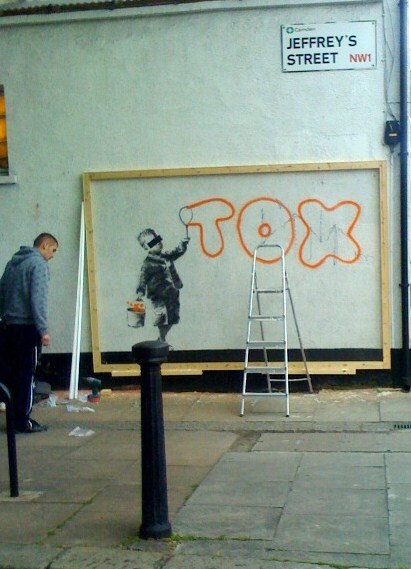 As Tox suffers the long arm of the law, owners of the property where Banksy sprayed his new work have protected it with a perspex cover. Perhaps Tox should have sought infamy and a publishing contract before heading out in the night to paint the town red, yellow, and blue? *Data from Nielson Bookscan. Sales to the value of £5,405,300. Kindle store bestseller, or marketing trickster? 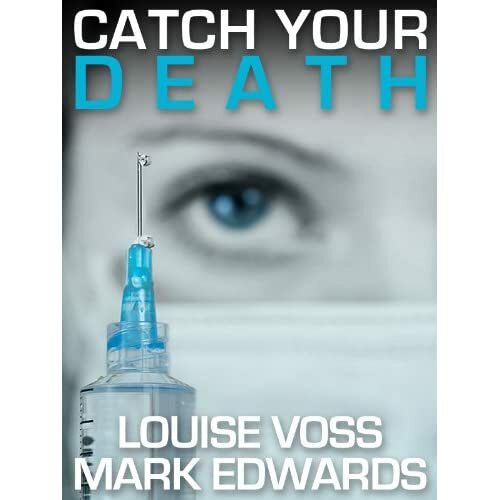 Self-published authors Louise Voss and Mark Edward’s have achieved digital-publishing success, gaining top download rankings for their co-written eBooks Catch Your Death and Killing Cupid in Amazon’s Kindle store. Using an Amazon service that allows writers to turn their manuscripts into digital books, the pair made their books available for purchase on Kindle devices and Kindle apps. 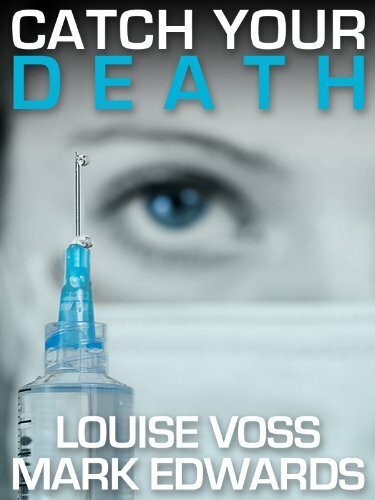 After four days in the Top 100, Catch Your Death went to number one in both the Amazon Kindle and Amazon Fiction charts, where it has remained for two weeks, achieving the slot without being represented by a publishing house. What’s interesting is how they achieved this. To promote the book and help it rocket up the bestseller list, Louise and Mark used an innovative marketing trick currently causing ripples in the world of self-publishing. The pair listed the full title of the ebook on Amazon as Catch Your Death (for fans of Dan Brown and Stieg Larsson). 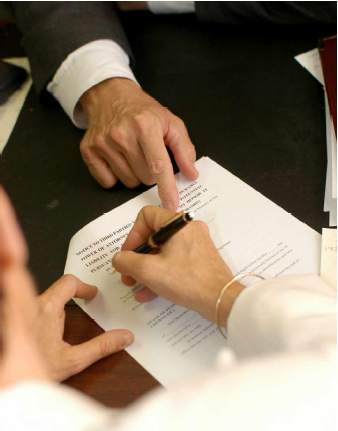 This cross-promotional technique – comparing one author to another – is used widely by trade publishers when launching new authors. Check out the ebook bestseller list or read more about the innovative marketing technique that helped them get there. Comments Off on Kindle store bestseller, or marketing trickster?